Island Virtual Office is an established full service, professional office building consisting of both private and shared office spaces with common reception, conference and break rooms, located at the entrance to Sea Grove, a mixed-use residential and commercial community located in City limits of St. Augustine Beach on Anastasia Island.Built in 2006, this two story, concrete block constructed building consists of thirteen private offices, four cubicles for lease, two conferences rooms, two reception areas, three bathrooms, interior and exterior stairwells, private balconies, and an open air lobby with an elevator for access to the second floor. Originally designed for the flexible workspace industry and successfully operated by the sole/current owner, this property has maintained nearly 100% occupancy over the past decade. Virtual office services include 24 hour/7 day access, dedicated high speed internet, telephone, fax and copy services, mail boxes, and private conference room and break room access. Island Virtual offices provide tenants with a combination of services in an attractive environment offering a prime location without tenants bearing the capital expenses of owning or leasing a traditional office in today's marketplace. This property is advantageously located on the southwest corner of the signalized intersection of SR A1A and High Tide Drive. The St. Johns County FDOT traffic county for 2018 is 29,921 cars per day along SR A1A to Pope Road. 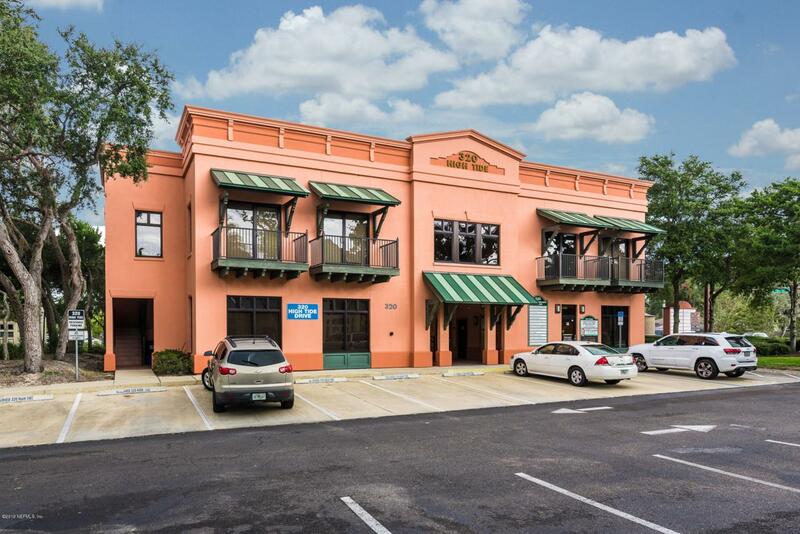 Surrounding commercial development include SunTrust Bank, St. Johns Law Group, the Anastasia Island Branches of the public library and post office, Terra & Aqua restaurant, Tim's Wine Market, Tropical Smoothie, and other local professional businesses along Sea Grove Main Street. This property is a rare high quality offering in this market and a turnkey opportunity.